Via Yelp: I found this company completely by chance and have happily used them 4 times now. 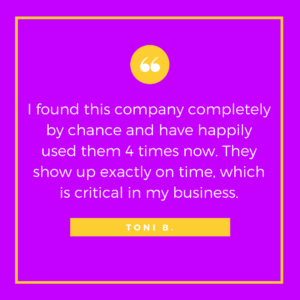 They show up exactly on time, which is critical in my business. The owner, Ben, was very professional as was another employee, Amir. I look forward to a good working relationship with this company.